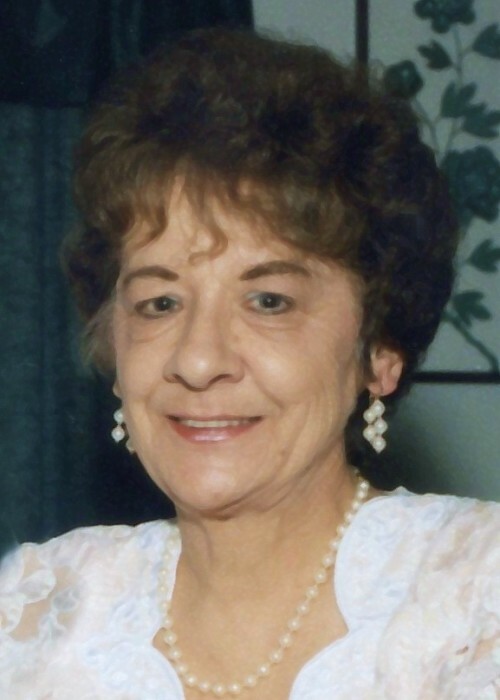 Obituary for Agnes B. Berger | Francis G. Ozog Funeral Home, Inc.
BERGER - Agnes B., 85; Johnstown, passed away August 22, 2018 at Conemaugh Hospital. Born July 8, 1933 in Johnstown, daughter of Joseph and Anna (Harman) Palus. Preceded in death by parents; husband, Eugene Berger; son Daniel J. Berger; daughter-in-law, Rita Berger; brothers, Daniel and Chuck Palus; sister, Sr. Helen Emmanuel Palus, Adorers of the Precious Blood; special nephew, Bernie Berger; brothers-in-law, Joe Corona and John Burgo and sister-in-law, Agnes Palus. Survived by loving children, James married to the former Celeste Suchko, North Huntingdon, PA; Richard Berger, Johnstown; Maria Kordell and husband Donald B., Johnstown; and grandchildren, Jimmy Berger, Sara Novosel and husband, Matt; and Robert Berger. A sister of Joseph Palus Jr., Ann Burgo and Mary Corona, all of Johnstown; Bernard Palus and Diane, Pittsburgh, PA; John Palus and wife Marcia, Taylor, MI; sister-in-law, Patricia Palus, Berkley, MI; and numerous nieces and nephews. A Johnstown Catholic High School Graduate Class of 1951. Retired Legal Secretary for numerous attorneys and judges throughout Cambria County; and former secretary for St. Therese Catholic Church. Agnes enjoyed baking, gardening and decorating for Christmas. She loved spending time with her family, watching the Game Show Network, playing BINGO and going to the Casino. A member of St. Clement Catholic Church. Friends received Saturday September 1, 2018 from 10:00a.m. until time of funeral service at 11:00 a.m.at the Francis G. Ozog Funeral Home Inc., Broad Street. Private committal. In lieu of flowers donations may be made to the St. Jude Children’s Hospital in memory of Agnes Berger.